IDEAL FOR THE CITY COMMUTER !. 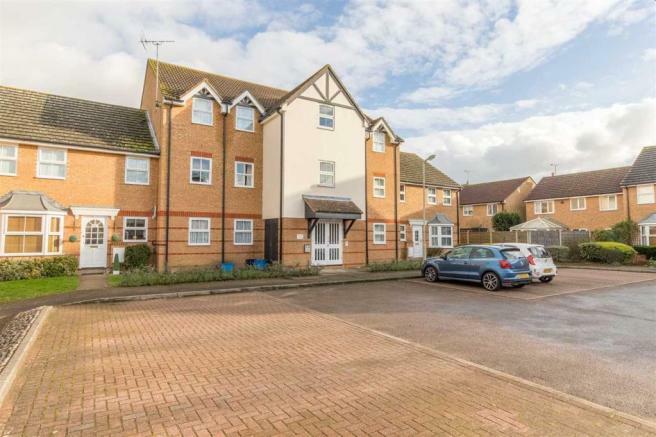 An excellently presented TWO BEDROOM 2nd floor flat which is situated in a small modern development located just off Stanstead Abbotts High Street and convenient for local shops, Pubs and restaurants. 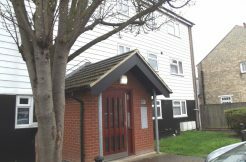 St Margaret’s over ground railway station is just a short walk and ideal for those working in the city as the station offers frequent services into London Liverpool Street via either Tottenham Hale or Seven Sisters and their Victoria Line underground rail connections. 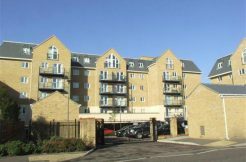 The attractively presented flat has DELIGHTFUL RIVERSIDE VIEWS from its own balcony and the development has well tended communal gardens to the rear leading to the River Lee towpath with delightful walks and cycle paths. The property is unfurnished although has all white goods in Kitchen including Dishwasher. Glazed door with security entry phone to carpeted communal entrance hall, Stair flight to top floor. Delightful RIVERSIDE VIEWS and views over residents communal gardens. Range of modern wall and base units to 2 walls, Work surfaces over, Inset stainless steel single drainer sink, Washing machine, Dishwasher, Electric oven and 4 ring hob, Under work surface Fridge and Freezer, Tiling to walls, Window to rear with riverside views. range of fitted wardrobes to one wall with folding doors, Vanity mirror, Radiator, Window to front aspect. Modern white suite comprising: Panelled bath with independent electric shower over, Vanity wash hand basin inset into surround with cupboards under, Enclose low level WC, Vanity area, Tiling to walls with full tiling to bath/shower area, Expelair, Shaver point, Wall mounted fan assisted heater. Residents and visitors parking to front aspect. 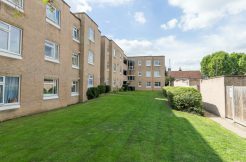 Well tended communal gardens to rear with lawns and well stocked shrubs, Adjacent River Lee tow path with delightful walks and cycle path.